-- Please Select --Burkert Type 3004 On | Off Burkert Type 3004 Control Version with Analogue Input Or do you have your Burkert ID? 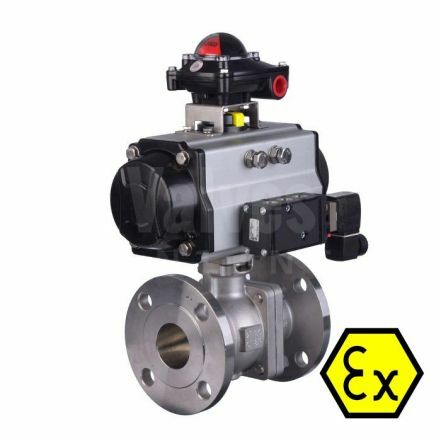 Type 3004 ATEX approved Electric Actuator is an explosion proof rotary actuator for hazardous areas, providing On / Off or programmable regulating control. This ATEX electric actuator features a corrosion resistant, compact housing offering powerful, long service life and benefiting from maintenance free operation. Built from materials and components that ensure low thermal loading on the actuator. The modular design offers many options such as electirc limit switches, potentiometers and anti-condensation heaters. This electric actuator is a Valpes / Burkert 3004 product.